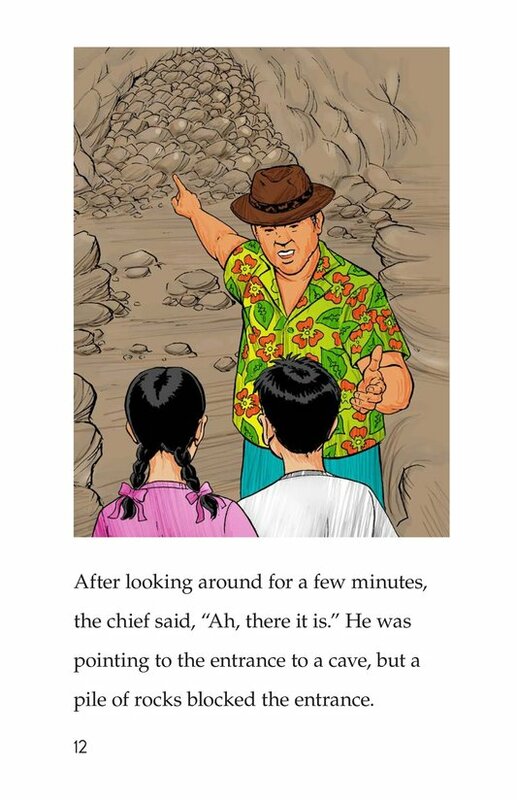 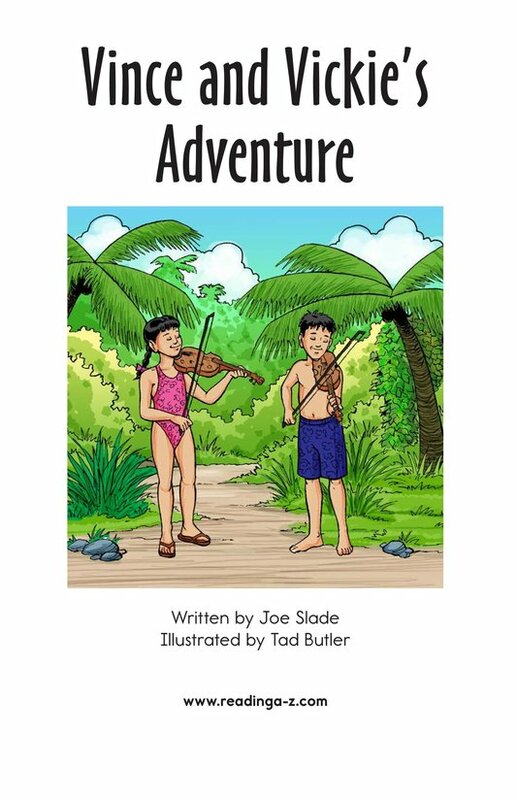 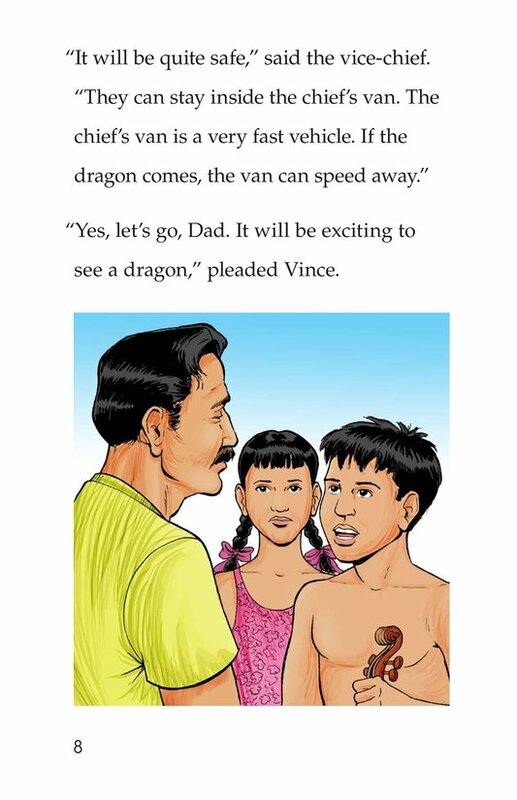 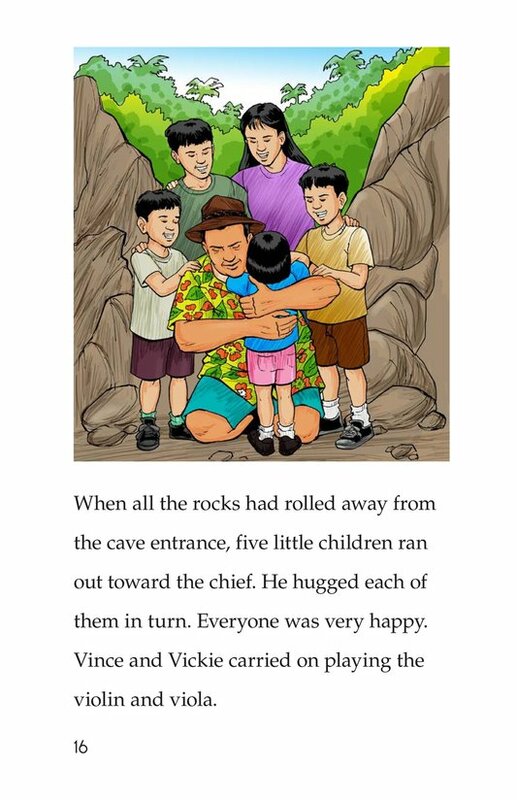 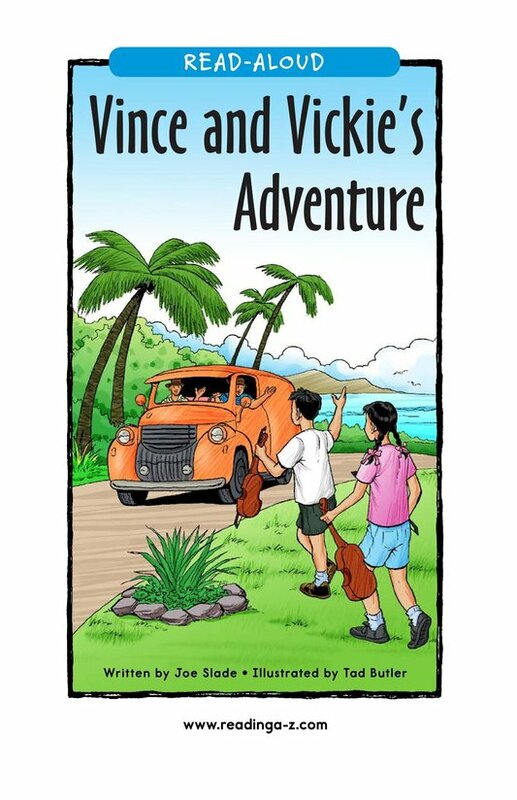 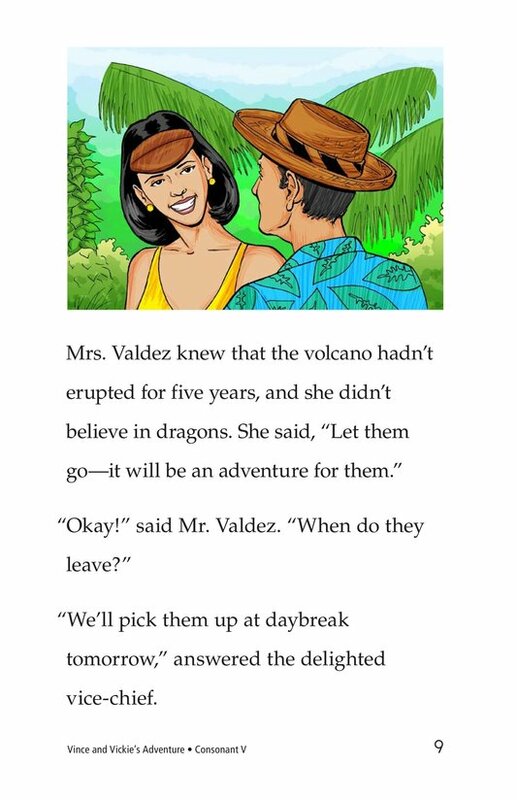 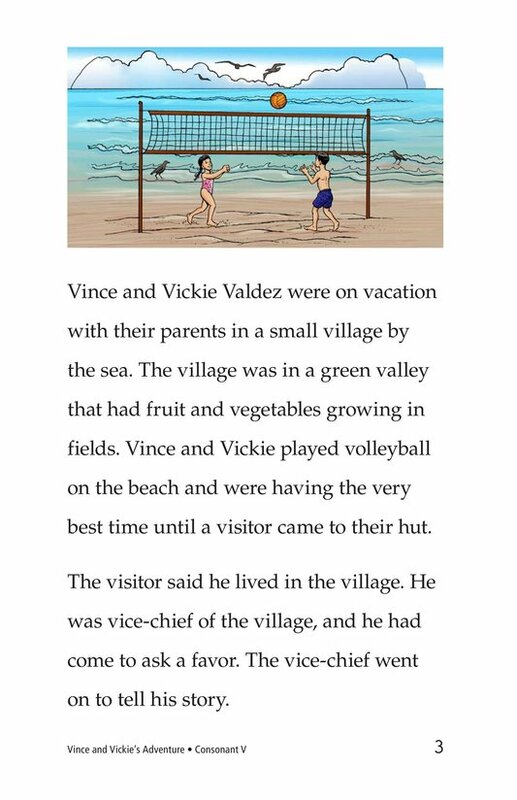 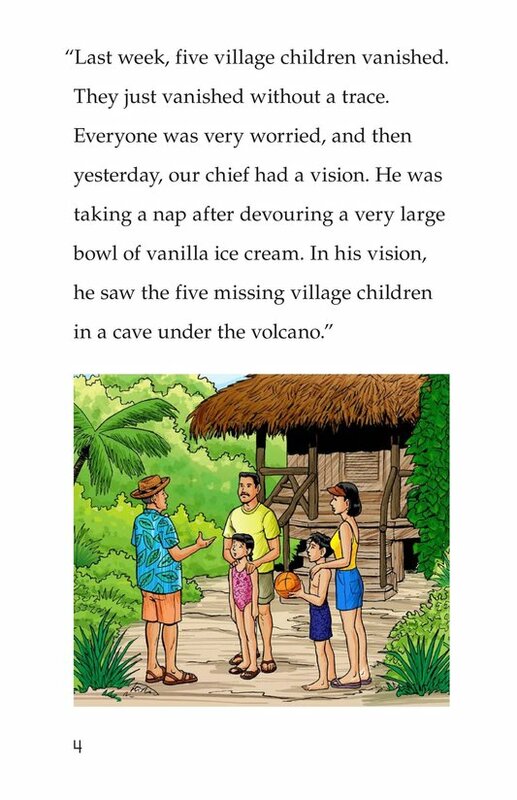 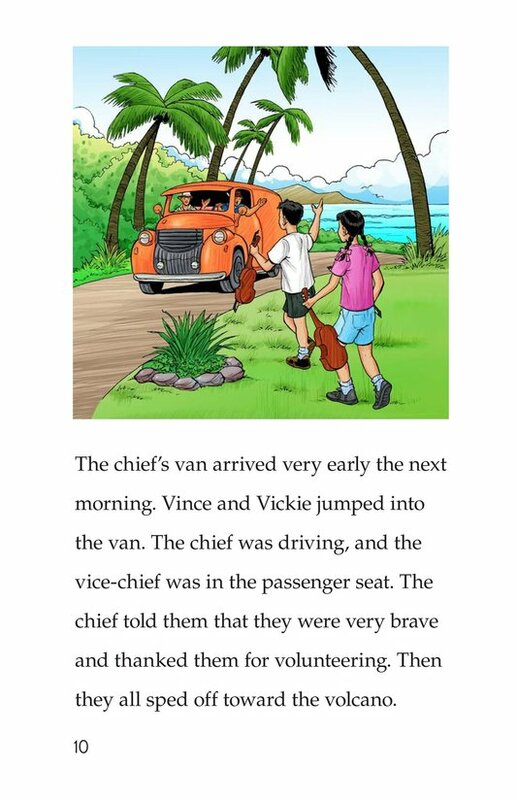 While on a tropical vacation, Vince and Vickie are summoned by the vice-chief of the village. 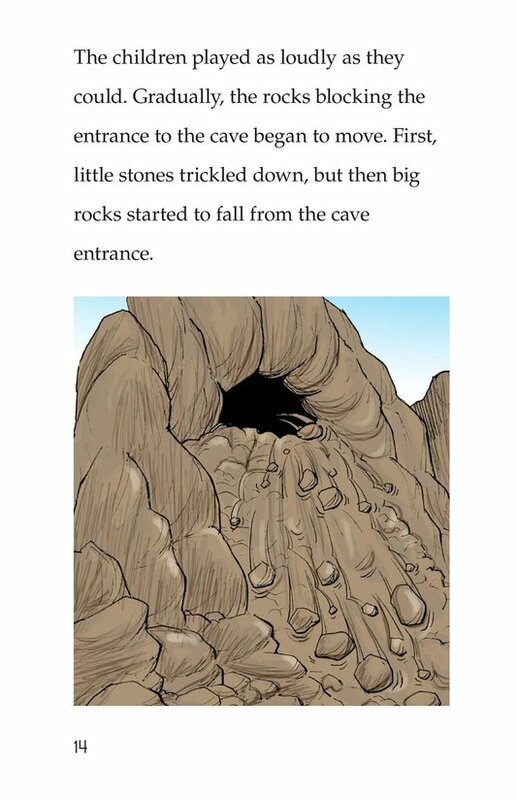 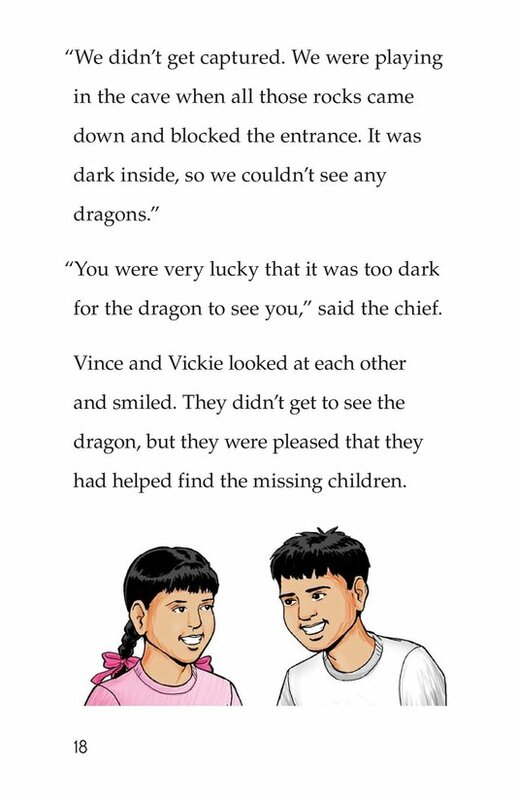 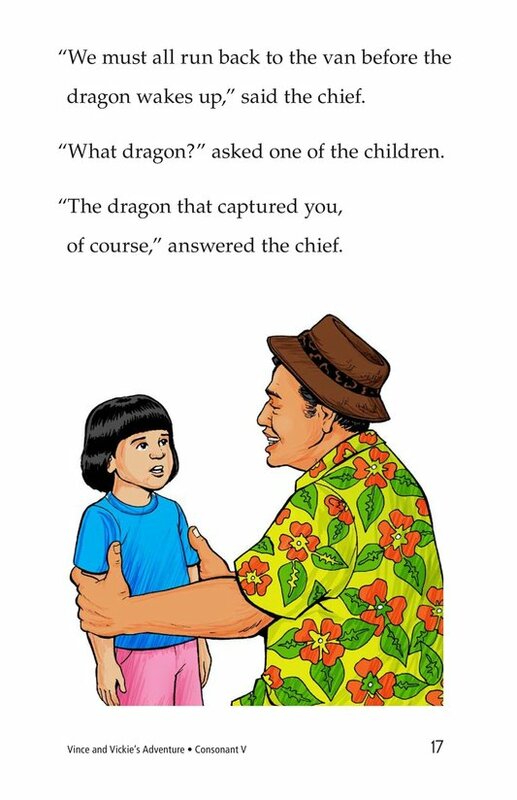 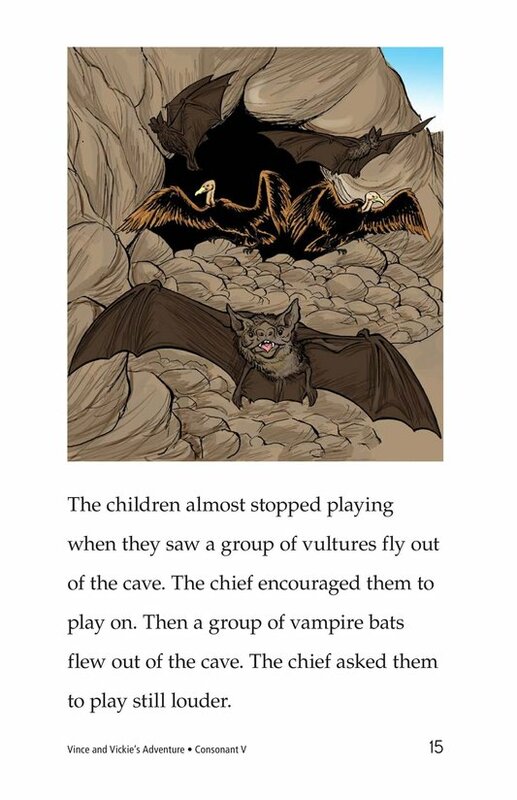 Five village children have vanished, and the chief's vision says a violent dragon stole them. 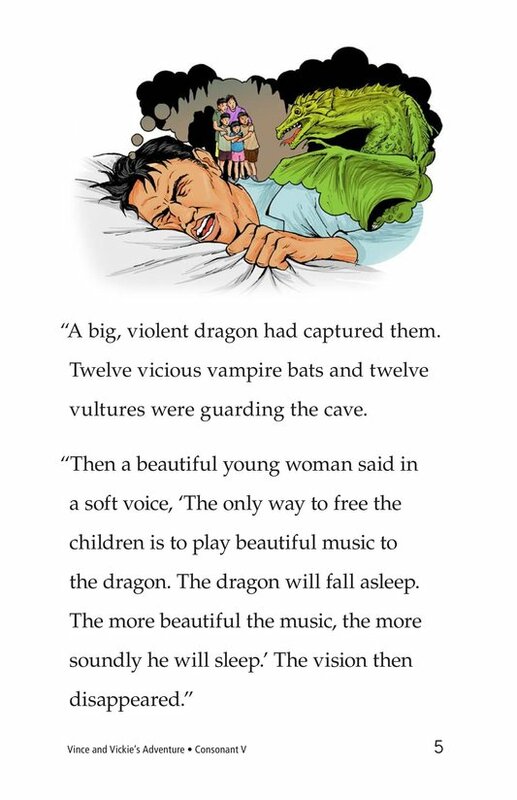 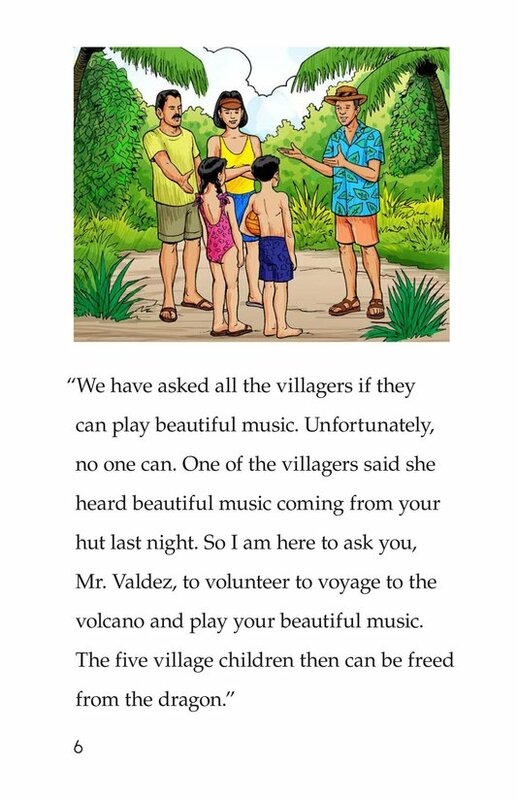 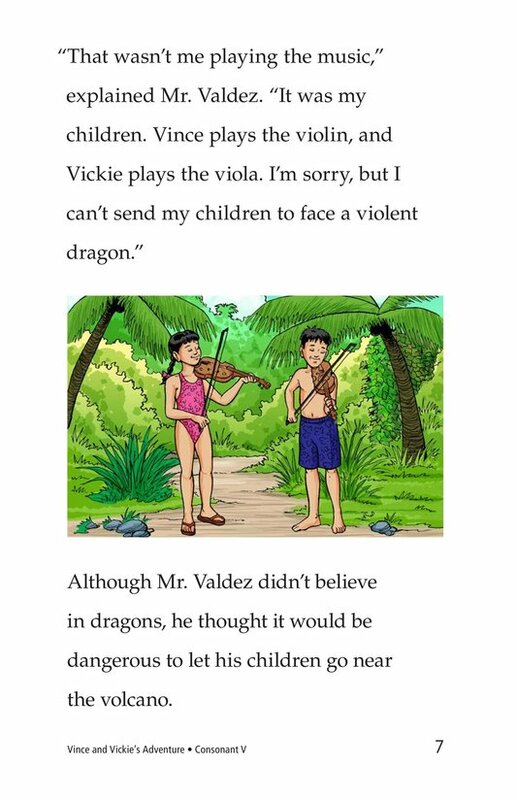 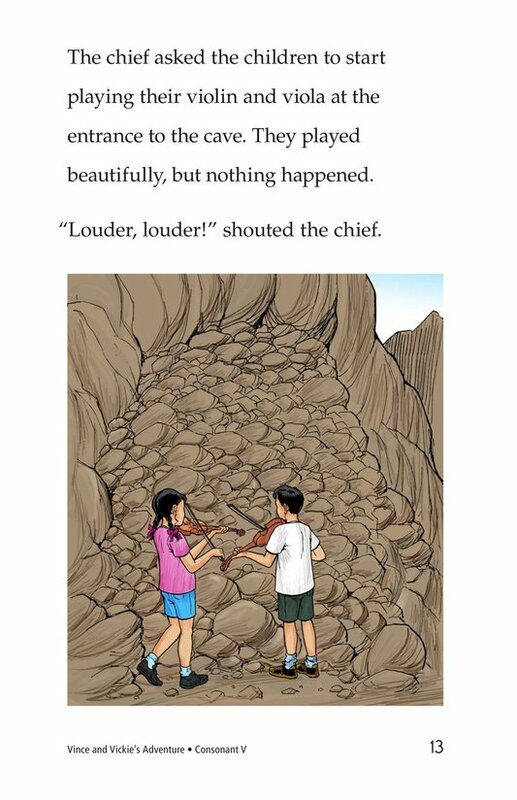 The children must play music to put the dragon to sleep and save the village children. 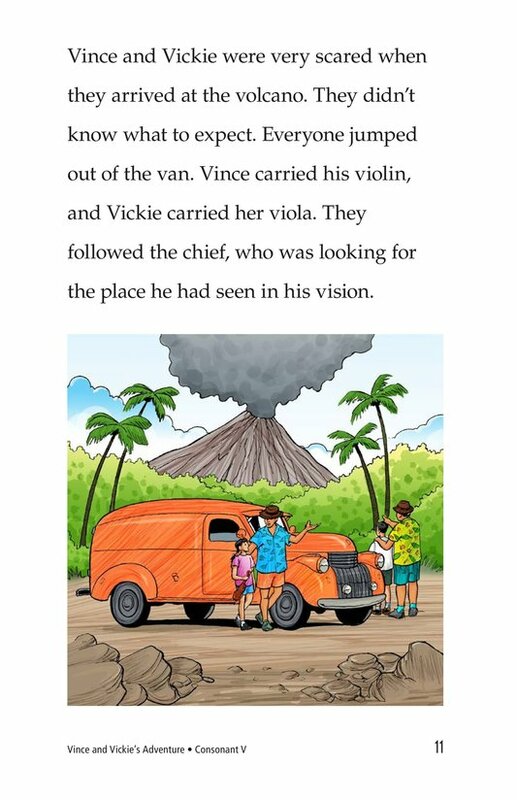 Introduce and expose students to the /v/ sound represented by the letter v.